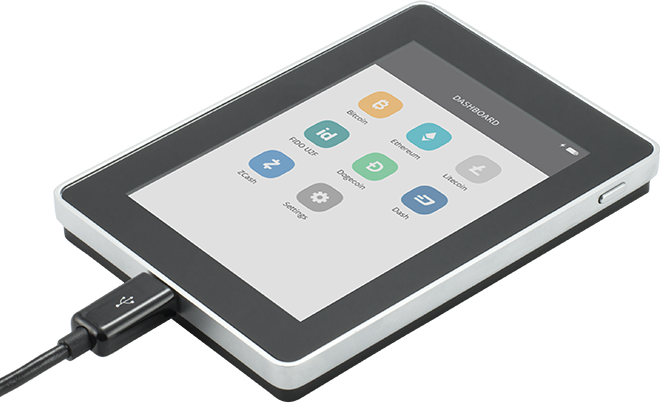 It boasts multi application execution, and packs enterprise-level crypto-capabilities into a lightweight handheld device designed and crafted in France. It is architected around a Secure Element, featuring a touchscreen and USB & Bluetooth* connectivity. 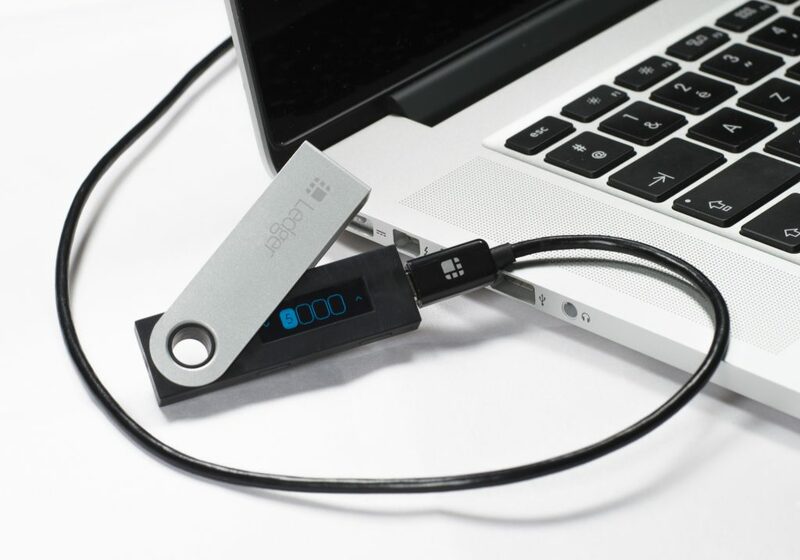 Its slick yet robust casing encloses the best-in-class technology built upon the Blockchain Open Ledger (BOLOS) platform, a powerful and flexible operating system. 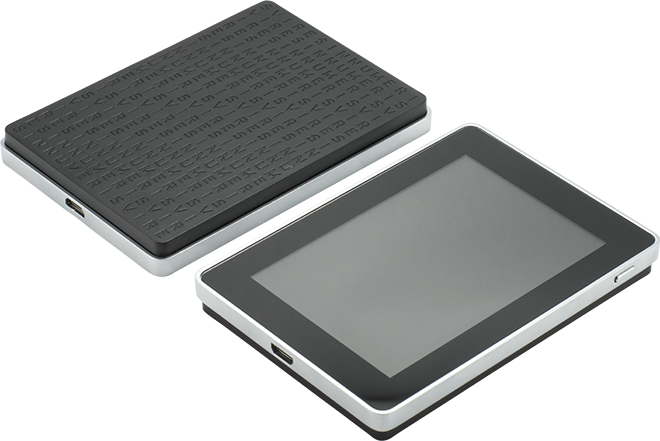 The Ledger Blue is based on a dual-chip architecture embedding a ST31 Secure Element and a STM32 microcontroller thus achieving a fully isolated environment. 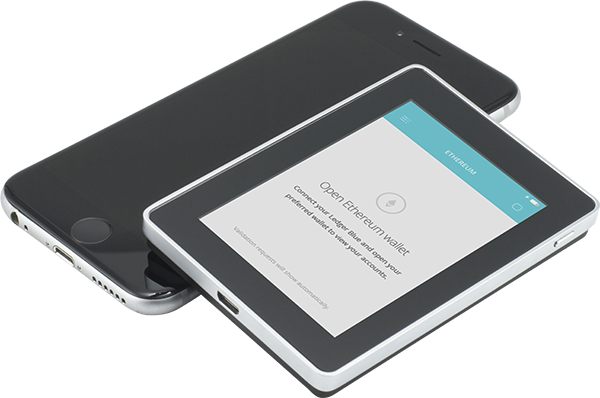 It features a LED-backlit color touchscreen to navigate easily and validate transactions. It is powered by a lipo rechargeable battery and communicates with USB or Bluetooth* devices. 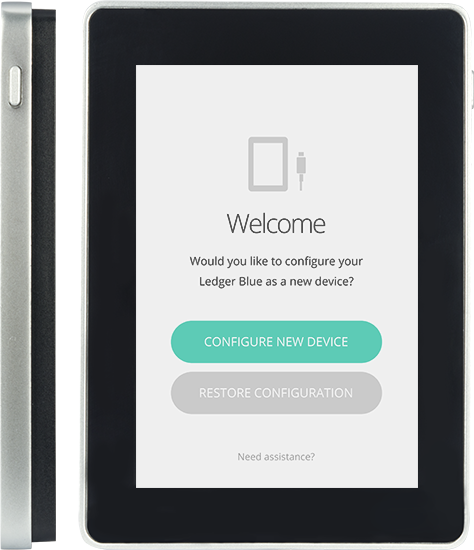 Thanks to its modular architecture, the Ledger Blue runs multiple dedicated companion apps in full isolation on top of its firmware. The strong security model allows to add new cryptocurrencies or apps without risk of compromising the master seed. Transaction integrity is ensured by the WYSIWYS paradigm (What You See Is What You Sign). The flexibility of the device enables enterprise level usage: with all major crypto libraries embedded in the firmware, any type of blockchain can be supported.